Budweiser has released its Super Bowl LII commercial which surprisingly breaks from their traditional Clydesdale-themed campaign of recent years. In their place, the AB In-Bev brand is promoting its philanthropic emergency water efforts by featuring the tremendous employees who make it happen. Employees are the driving force behind the Anheuser-Busch emergency water program, which is largely operated from their Cartersville, GA brewery. Over the past thirty years, Anheuser-Busch employees have helped provide over 79 million cans of clean drinking water to assist in various natural disasters. The commercial is being released in conjunction with the company's recent announcement to add a second brewery to increase its emergency water relief efforts by the end of the year. In cooperation with the American Red Cross, the company's emergency water program has delivered clean, safe drinking water to cities affected by natural disasters. The same production and logistical capabilities used to can and deliver beer across the country makes the company uniquely equipped to do its small part by providing a vital necessity – clean drinking water during times of need. 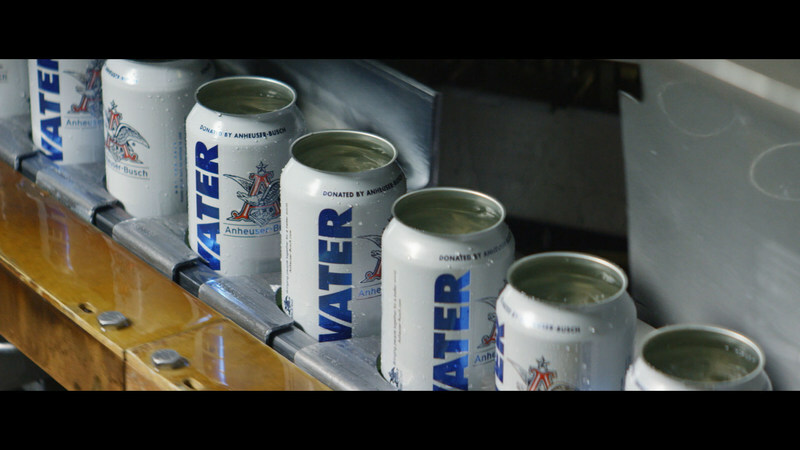 This year, Anheuser-Busch will add a second brewery, located in Fort Collins, CO., to its emergency water program in an attempt to bottle and deliver water more quickly when a natural disaster occurs. AB In-Bev said it planned to feature four of its brands in this year's Super Bowl: Budweiser, Bud Light, Michelob ULTRA and Stella Artois. Its Stella Artois Super Bowl commercial, released last week, stars actor Matt Damon and details efforts to promote access to clean water in other parts of the globe through a partnership with Water.org.